The Nuremberg Trials and the Jewish interpreter. 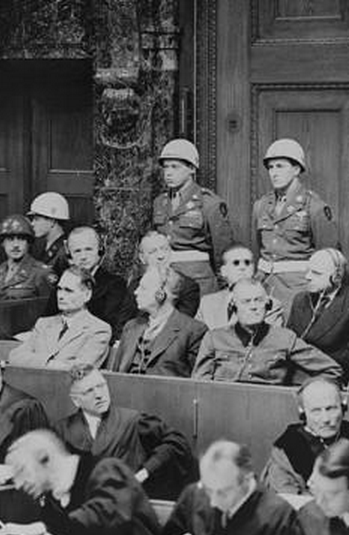 These trials began in November 1945 and were held to bring Nazi war criminals to justice. It was a huge undertaking and interpreters were employed to translate – live in court – the testimonies of witnesses and the defence and comments of the most notorious and inhuman war criminals and their persecution of the Jews. Imagine that you are a thirty year old interpreter and you have been recruited to translate at the trials. Imagine further that you spent the war as a Jewish refugee, sometimes in prison camps. Now take it a stage further and imagine that your parents were both killed in during the Nazi’s ‘final solution’. That’s the situation Armand found himself in. Not only did he have to translate the words that were being said in court, he had to sit there, day after day, in the same room as the people who had been responsible for the death of his parents, relatives and friends. For most of us, we learned gradually and gently about the Holocaust. But Armand and his fellow interpreters were the first civilians to hear witness accounts of the horrors that took place. during the Second World War. And in Armand’s case, he was hearing about what might have happened to his own family. Were they herded into gas chambers believing that they were showers? Was their skin tanned to make lampshades? Were they subjected to medical experiments? When he saw photographs of piles of naked bodies, did he imagine that they were people he knew? Can you imagine what that must have been like? It was a gruelling job for the interpreters. Many couldn’t take it. The courts kept a whole spare team of translators on hand to replace those who could face the court no more. Some interpretors, many of them women, would refuse to translate some of the more horrific witness accounts or the testimonies that were of an obscene nature. Is it possible that the interpreters simply processed the words they translated without taking in their meaning? Maybe they tried. As they worked, they didn’t have the time to dwell on what they heard – one sentence to translate was quickly followed by another. But they had a lifetime to reflect upon them. In order to undertake his translation job, Armand had to be apart from his wife, Anna, and their baby. That’s a photograph of the couple that you see on the right. As Armand was listening to the horrors the Nazi regime had inflicted on his people, his physician wife was caring for their new baby in Geneva. When he returned to his small family, he was a changed man. He was carrying within him the horrific stories he had heard. These were stories of atrocities that the world didn’t know – yet. With the weight of the Nuremberg trials knowledge forever with him, he was not the same person and he and Anna separated. Neither remarried and they never spoke to each other again. Many years later their American granddaughter, Miranda, decided to find out more about her grandparents, their relationship and exactly what had happened to them during the war. It’s a fascinating story. 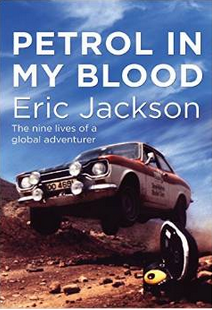 Another intriguing historical account to add to my reading list. Since a child, I’ve often wondered what it was like for the folks who had to sit through the trials and hear these horrors, but I never thought about the interpreters. They had to endure all that in a body way that most others did not. I wonder, too, how the trials affected the prosecutors and their staffs, as well as the judges. Thank you for keeping a light shining on one of the more sorry eras of our history. We must never forget.